INDIANAPOLIS, Ind.-- One special boy is using his lemonade stand earning to give the gift of life. Jaxon Wells, 5, is a young entrepreneur in the making, and this future businessman also has a good heart. "I was going to sell lemonade and these bracelets," Jaxon said. 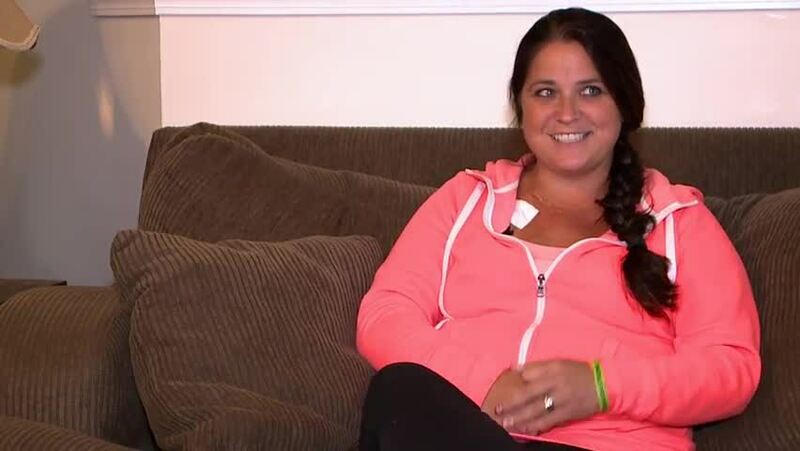 Family friend, 41-year-old wife and mom Chandra Davis was served a few lemons when she discovered her kidney function was rapidly decreasing. "I had strep infections that had affected my kidneys. So then when I went in December I found out I had kidney failure," Chandra said. Jaxon heard his mother's best friend was sick so he decided to make lemonade. His dad built him a stand and it was time to get to work. "Because it's really nice and I can't just give her my kidney," Jaxon said. Chandra says she's still getting used to the idea of needing help, but Jaxon's gesture made it easy to receive. "I love that little kid. I was so shocked," Chandra said. Chandra just started the process to get on the kidney donor list along with more than 1,000 other Hoosiers who are also waiting on a kidney. Meanwhile her health is steadily on the decline. For the first time in her nursing career she was the one who needed help. "Each week pretty much has got worse like last week it was at six percent," Chandra said. Chandra says insurance will cover most of the surgery, but her medicine could be up to $5,000 a month. So every little bit helps.
" I feel blessed that he wants to help." Family members are also getting tested to see if they're a match. But if you want to help, Jaxon's lemonade stand will be set up Saturday from 11 a.m. - 1 p.m. at the Southport Road Kroger. You can also donate to Chandra's fundraising pager here.